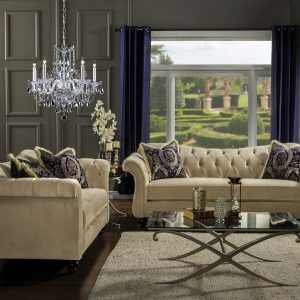 The simple, clean lines of this sofa set create the perfect piece for your fashionable contemporary look. 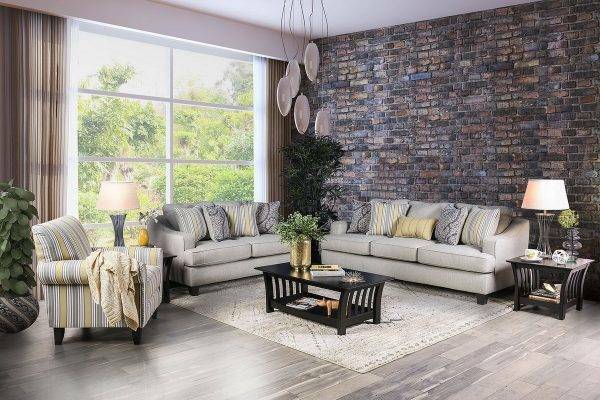 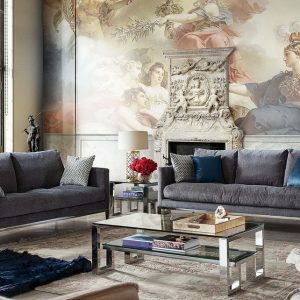 Dress up your living room with the subtle shape of sloped track arms, loosely fitted back pillows, and T-cushion seats for a contemporary vibe that’s sure to stand out. 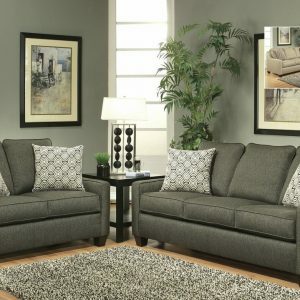 The included throw pillows add some color and can be tucked between the arm and seat cushion for a different style.